Press and hold the Guide button to turn the console and controller on or off, and press it to access the Xbox Guide (menu of options) when the console is on. You can connect up to four controllers to the console. On the original Xbox 360 console and the Xbox 360 S console, each controller is assigned to one of the four lighted sections. The first controller connected is assigned the upper-left section, then the upper-right, lower-left, and finally lower-right sections. When you're using the controller with a Windows 10 device, the Guide button opens the Game bar when pressed during PC gameplay. Exception: During game streaming through the Xbox app for Windows 10, pressing this button returns you to the Home screen of the Xbox app. Note On the Xbox 360 E console, there's a single green light around the power button. However, you can still determine the controller's assigned section by looking at the ring of light around the controller's Guide button. To learn how to connect a wired or wireless controller to your Xbox 360 console, see Connect a controller to your Xbox 360. The wired Xbox 360 controller cable has an inline release. 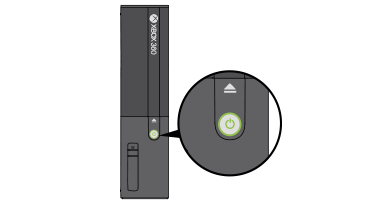 The inline release on the controller cord is a safety feature designed to reduce the chance of the Xbox 360 console falling if the cord is pulled. You can reduce this risk further by not allowing the controller cables to become tangled. The expansion port on the Xbox 360 wireless controller lets you connect optional accessories, such as the Xbox 360 Headset. Note The expansion port is under the directional pad (D-pad) and the right stick on the controller. The Xbox 360 controller for Windows software lets you use a wired Xbox 360 controller with a computer that is running Microsoft Windows. For information about how to do this, see How to set up an Xbox 360 controller for Windows. Refer to your game documentation for information about how to configure the controller for a specific game. If you're experiencing problems with your Xbox controller, see the "Related issues" section, below. If you need more help, contact Xbox Support. Would you like to contact Support regarding the "Xbox 360 wired and wireless controllers" issue you were reading about or a different issue?